IndiGo has cancelled scores of flights in India in two days and will not be operating around 32 flights on Monday following shortage of pilots, a source said. IndiGo, the country's largest airline, has cancelled flights from Delhi, Kolkata, Chennai, Bengaluru and Hyderabad, the source in the aviation industry said. Many flights have been cancelled by the airline since Saturday. IndiGo cancelled around 15 flights on Saturday and seven on Sunday, officials at the Delhi Airport said. "The airline has been facing problems in crew management. Therefore, these flights—which had to depart from Delhi yesterday and today—were cancelled," one of the airport officials said on Sunday. "As part of recovering our schedule, positioning of the crew and aircraft had to be readjusted. As a result, a number of flights were cancelled. We regret the inconvenience caused to our customers," IndiGo said. 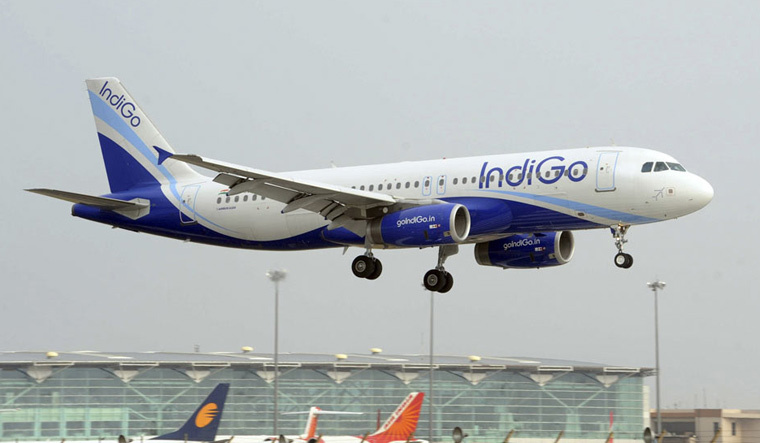 Officials at Bengaluru Airport said that around 16 flights of IndiGo were cancelled on Sunday. "As of now, 32 flights from across the network have been cancelled for Monday by the carrier," the source said. A second query sent to IndiGo, seeking its response on the cancellation of 32 flights for Monday due to pilots shortage, did not elicit any immediate response. There are so many Commercial Pilots India waiting to get an opportunity and just with an appropriate training on certain air crafts Airlines could get over from this scarcity. Indigo is always problem. They cancel flight in a short notice. Some time Passenger arrive at airport and have to return because flight is cancelled. Please think twice before booking tickets .